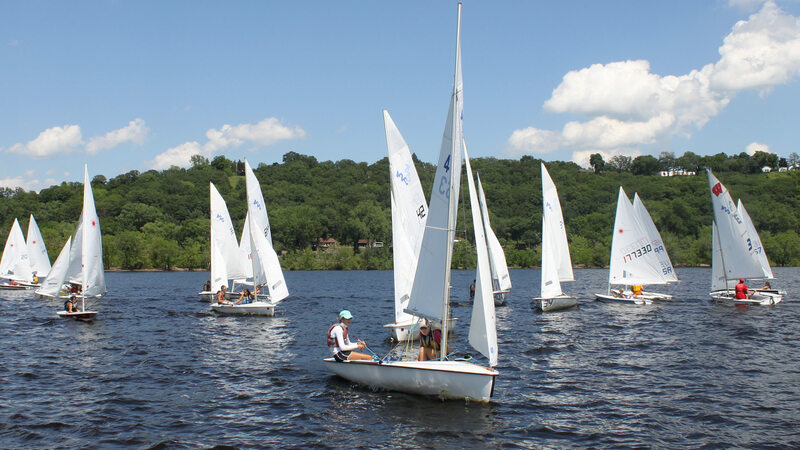 Saint Croix Sailing School Inc. admits children and adults as students and/or members and/or volunteers to all the rights, privileges, programs, and activities made available by SCSS. SCSS does not discriminate on the basis of race, ethnicity, color, national origin, gender, sexual orientation, age, socio-economic status, religion, or physical ability in the administration of its admission policies, educational policies, scholarship policies, or other school-administered programs. It is our policy that every student, as well as instructors, must wear PFDs at all times when on or near the water. No exceptions. It is our policy that all students pass a swimming test on the first day of class. Students must be comfortable in the water and must be able to swim 50 feet with a life jacket on. It is our policy that all instructors and coaches have Red Cross certification in CPR/first aid and have completed US Sailing instructor training. It is our policy to expect students to follow certain rules that promote the safety of all. Parents will be notified of persistent problems with their child’s behavior. Those students who continue to be disruptive may be asked to leave. It is our policy to make every effort possible to sail whenever weather permits. If inclement weather is forecast, the class may be conducted on shore. Student safety will always be our highest priority. Some of our sessions offer the choice between different types of boats. After assessing students, SCSS reserves the right to move students to a different boat if we think that will provide better safety for the student, a better experience, and a better learning opportunity. It is our policy that students are not considered registered until a completed registration form and full tuition fees have been received. Some scholarship funds are available based on need. If you wish to make payment arrangements, please contact the school. Space in classes is on a first-come basis. If you need to withdraw from a class, a full refund will be made until two weeks before the start of the class; a 50% refund until one week before the class; no refund after that time. If you are able to find a replacement to enroll in the class, the school will make a full refund. Refunds cannot be issued for missed sessions or partially attended sessions. If you need to change your registration from one session to another, we would be happy to work with you to accommodate your request. There is no charge to change or cancel a registration at least two weeks prior to the start of class. Session changes within two weeks are subject to availability, and changes may incur additional fees to cover SCSS costs such as boat and staffing commitments. Gift Certificates are refundable, with the exception that after being applied to a registration, our standard refund policies apply. Gift Certificates are valid for face value of the certificate only. Note that our session offerings change from year to year, as do our prices. Gift Certificates are transferable and are not session-specific. A student receiving a certificate may register for any session they desire. Our Federal EIN is 26-3596269. This number may be required if you treat class fees as dependent child care or for other tax purposes. Saint Croix Sailing School (SCSS) recognizes the importance of protecting the privacy and security of your personal information. We provide this Privacy Statement to help you understand what we may do with any personal information that we obtain from you. By providing your personal information to us, you signify your acceptance of this Privacy Statement, and agree that we may collect, use, and disclose your personal information as described herein. If you do not agree to this statement, please do not provide your personal information to us via this web site. To communicate effectively with visitors to our web site, we may ask you for personally-identifiable information that can include, by way of illustration, your name, mailing address, email address, telephone number, or graduation date. It is your choice to provide us with this personal information; we will only collect personal information that you provide. SCSS will never sell or trade personally-identifiable information you provide to us through this web site to others unless we have your consent to share the information or we are sharing such information in response to a subpoena, court order, or other legal process. If you use our web site to register for classes and programming we require that you provide us with certain personally-identifiable information including your name, address, telephone number, email address, date of birth, and credit card number. This information is necessary to process your application and to contact you. Credit card information is never stored on premises or electronically on SCSS computers. When you visit our site, some information such as your Internet network address, Internet service provider, operating system, web browser version, site from which you arrived, and the time and date of your visit may be collected automatically as part of normal site operation. This information is used solely to track web browsing patterns to better understand how our site is being used, and when necessary, to troubleshoot problems with the site. This web site contains links to other sites that are not owned or controlled by SCSS. Please be aware that SCSS is not responsible for the privacy practices of such other sites. We encourage you to be aware when you leave our site and to read the privacy statements of each and every web site to which you provide personally-identifiable information. SCSS offers programs for children at certain times of the year, and provides information about those programs on this site. However, this site is not designed for or intended for use by children under the age of thirteen, and we request that such individuals do not submit personally-identifiable information to this site.